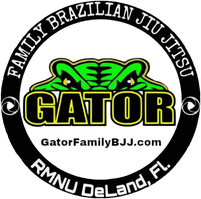 Schedule Change - Gator Family Brazilian Jiu-Jitsu, DeLand Fl. Tonight begins our new schedule for this quarter. Kids class is at 5:30 and adult class is at 6:30 every Tuesday and Thursday.